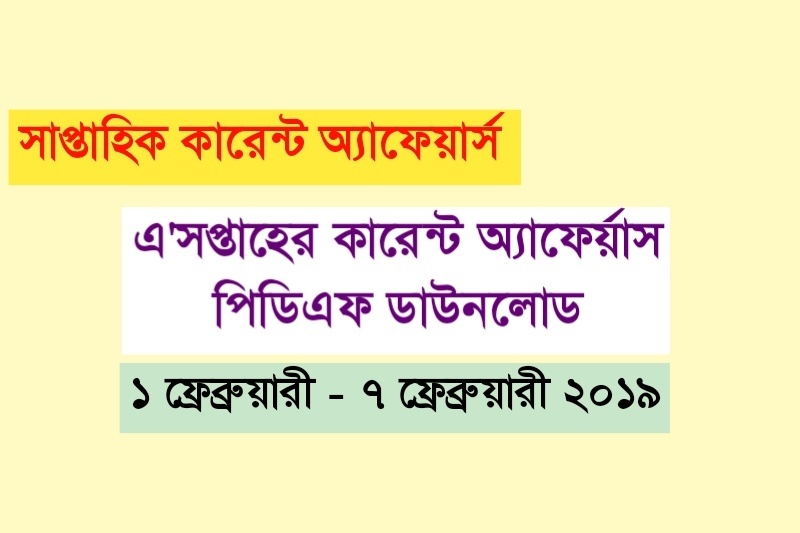 Current Affairs in Bengali February 2019 1st February to 7th February Bengali PDF provided here. It's very important for WBCS, PSC, SSC, RRB, UPSC exam. 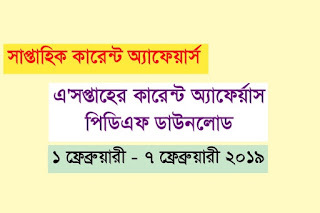 Most of the Bengali Students search on Internet Current Affairs in Bengali PDF Book. But they can not find the right Current Affairs in Bengali. We provide good Quality weekly Bengali Current Affairs pdf on our website. Today GK Solve share Weekly Current Affairs in Bengali 1st February to 7th February 2018 Bengali PDF Download link. Details of PDF book and download link are given below.